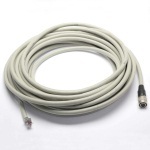 This 10 meter cable has a 12-pin Hirose connector on one end and leadwires on the other. 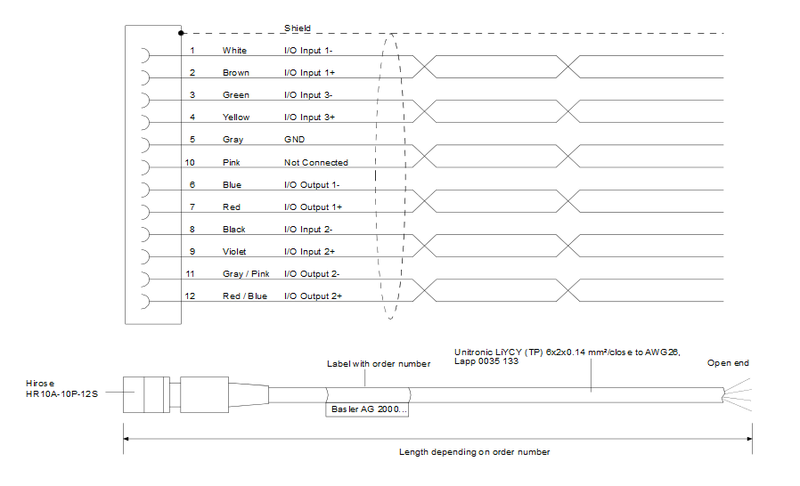 It is compatible with the Basler Runner I/O connector and Racer I/O connector. It also works with many cameras from other manufacturers. This cable is identical to the CEBR106, except for the conductor pairing.